Dave Robbins is a member of the Chartered Institute of Logistics and Transport (MILT). He has over 35 years’ experience in the road transport industry as a driver, an operator, a trainer and a consultant. This extensive experience has led to an understanding of the problems facing the different parties involved in the industry, and an ability to address the real issues that are concerning these individuals and companies. He began driving professionally in 1979, working for Associated Deliveries, Dalgety Spillers and then B Thompson & Sons Transport. In 1986, after gaining his National and International CPCs, he purchased his own tractor unit and trailer. 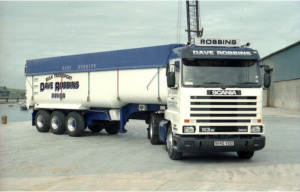 Over the next 15 years, Dave Robbins Transport grew, servicing many blue chip clients. Dave has also been a regular contributor to Trucking magazine over the past 10 years. 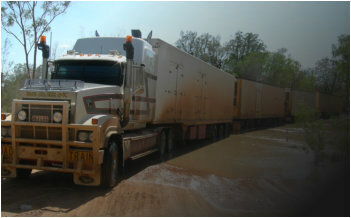 This has included the composition of numerous company profiles as well as articles on multi-trailer operations and driver migration in Australia, Canada and the United States. These later trips involved the piloting of four-trailer road trains and 120 foot long “turnpike” vehicle combinations. Dave has many years’ experience as an LGV Instructor and started Dave Robbins Transport Academy in Exeter, Devon. This involves training individuals and in-house trainers for other businesses, as well as constant consultation with DVSA LGV driving examiners. Since the Driver CPC was introduced in September 2009, he has also been teaching courses on subjects such as digital and analogue tachographs, drivers’ hours and industry awareness. Dave’s knowledge and enthusiasm for the industry are also shared by his staff, who keep up to date with the ever changing legal landscape and requirements from the DVSA. Dave helped me get my O licence and it turned out to be an easy process. He set up my drivers hours and vehicle defect records and regularly checks them to make sure my vehicles are running legally. A vital part of my business. We wanted help in applying for our operator’s licence, and thanks to Dave we received our licence with no problems. Whenever we have undertaken trips to Europe, we have contacted Dave Robbins Transport Consultants who have informed us of all of the equipment and documents we would need. This has ensured that our international work has been trouble free.